A learning event that goes deeper into the theory of Agile methods. Featuring several hours of hands-on practice, with peer feedback to refine your own Scrum practice. Gain coaching and facilitation techniques to effect change beyond your teams and across the broader organization. Are you leading agile teams? Have you run into issues and obstacles holding your teams back? 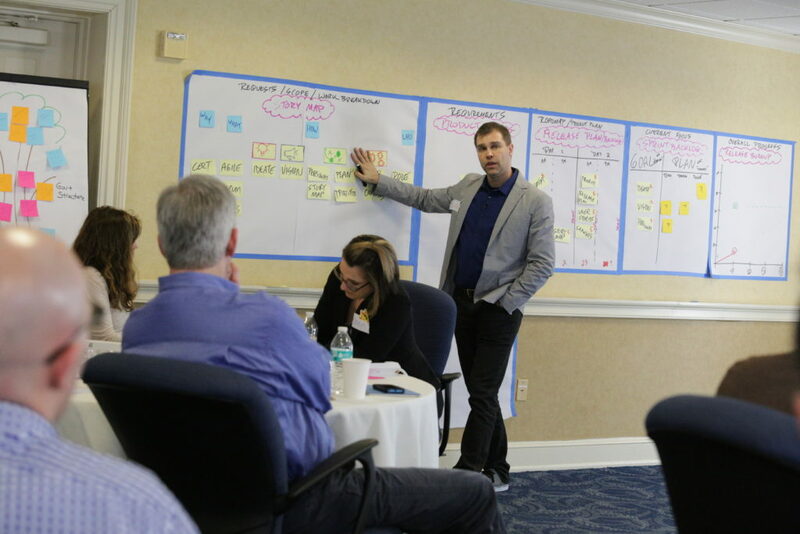 The Advanced ScrumMaster program is a brand new offering in their journey to Scrum mastery. This learning event is the next substantive step on your path to ScrumMastery. Participants will receive the Advanced Certified ScrumMaster (A-CSM) designation. This program is also the next step towards achieving the Certified Scrum Professional (CSP) certification, recognizing your professional experience and deep education in agile methods. To participate in the Advanced ScrumMaster event, you must already hold the Certified ScrumMaster (CSM) credential with the Scrum Alliance. To qualify for the Advanced ScrumMaster designation, you must attend this event, and also demonstrate 12 months of collective experience using agile methods. Jesse is brilliant. Probably the best training I have attended. The class was funny, informative, and the ideas were explained in an easy to grasp manner. Valuable Program which taught me many things even if I have been an Agile practitioner for 3 years. Love this session. I learned things I can use everyday in my Agile Journey. Great class! Jesse is very energetic - he keeps you engaged. The class includes a lot of hands on practice to reinforce concepts and learning retention. I have learned so much from your training that will assist me in my workplace. You are truly an expert at what you do and I'm glad that I had the privilege of learning from you. A bridge-builder in the world of project management, Jesse is the founder of the original PMI Agile Community of Practice, co-creator of the PMI-ACP® agile certification, and co-author of the upcoming Agile Practice Guide. As a Certified Enterprise Scrum Coach (CEC), he is the creator of the Injective Coaching Method™ and has helped improve teams across the world from Boston to Bangladore to Beijing. Will this workshop happen for sure? To create a meaningful learning experience, workshops must have a minimum number of registrants before they are “Guaranteed to Run”. In order to get an early-bird discount, you will usually have to register before most others. In the event we don’t have enough people to run the course, we will give you a new date or a refund.